Captain Pietr Gaelan IV is the acting commander for the Colonial Marine Corps detachment assigned to the Battleship Genesis. This is a temporary assignment while current command, Major Stiger, is off on assignment. 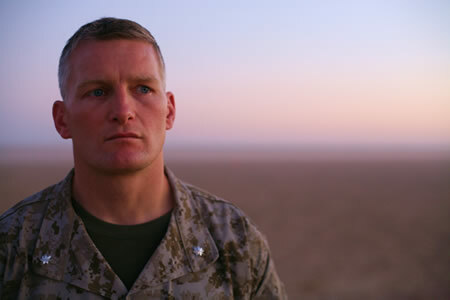 Voice: Gaelan has a very distinctive and often offsetting voice for a Marine Commander. The voice is raspy and at normal conversation levels seems like a strained whisper. The first born of four to Admiral Pietr Gaelan III and Evelyn Gaelan on Caprica. Pietr was given the distinct tradition of taking his father's name and was raised to maintain the family tradition of being in the Navy. Playing football in highschool Gaelan followed his destined path and went on to the Colonial Fleet Academy. Mother - Evelyn Gaelan - Last known to be living in Caprica with Ariadne Gaelan under in-home medical care. Brother - Dion Gaelan - 12 Years Younger - Last known to be on Caprica living the life as a "musician" and "artist". 4 Years BCH — Transferred back for Special Forces Training. All missions classified during assignment. 2 Years BCH — Promoted to Captain and assigned to Battlestar Genesis as Company Adjutant. 45 Days BCH — Major Rendell Stiger deployed by Colonel Tarik Regas on special assignment. Gaelan given temporary Command of Genesis Marine Detachment until the Major's return. 12 Days ACH — Promoted to the rank of Major. Captain Raul Desusa — Served together in the 102nd Infantry Battalion. Major Reed Carter — Growing up together on Caprica and kept in touch throughout the years of their military careers. <Newbie> Marines > Navy Gaelan says, "Pilots have their own bar.. we call it the Brig in Marine Country." <Newbie> Rooster says, "He calls it the brig, the rest of us just leave them under the table where they pass out."